New Flooring is a classy way to finish off or visually enhance any remodeling project. Tiled floors are generally easy to clean and maintain and are excellent for high traffic areas of your home or place of business. Laminate flooring is generally the most affordable solution and is commonly found in homes today. Finally we have the elegance and beauty of hardwood flooring. Star Remodeling has extensive experience laying custom tile flooring, laminates and hardwoods for home and business owners throughout Orange County, New York. What Types Of Tile Flooring Materials Are There? Dual Tone Tiles – The contrast of colors with dual toned tiles is a very popular look and helps make your floor or wall area really stand out. Usually dark and light shades of a similar color looks really good when used together. Star Remodeling can provide you with many different tile samples until we get the look you are after with your space. 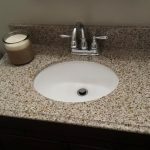 Natural Colored Tiles or Stone – If you’re looking for an earthy ambiance in your space or a very relaxing atmosphere than you should consider naturally colored tiles or stone. White, Black and other neutral colors like beige or off white can make for a very visually appealing shower. Marble , Granite and Slate are all popular materials for tiling floors. Hardwood Flooring – Hardwood Flooring brings a level of class to your home that you just can’t match with a laminate or other synthetic material. It’s visually appealing and a durable flooring material offering many years of use. Hardwood floors are available in a wide variety of species and finishes, and fit into many budgets. 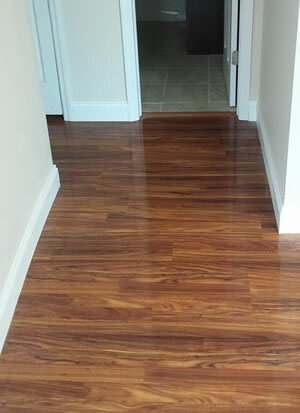 Laminate Flooring – Laminate flooring is commonly installed throughout Orange County, NY homes. Often found in the kitchen, living room, offices and basements. Laminate flooring looks great and is available in many different patterns, colors and thicknesses. 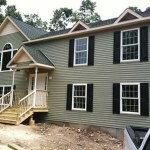 Always opt for thicker material if your installation will allow it. One major drawback to laminate flooring it’s inability to withstand moisture. For example, if you had a water filter under your sink that burst, or a hot water tank gives way the water will totally ruin the laminate floor. If water isn’t going to be a problem in the room you plan to put new flooring in then laminate flooring is a good choice. 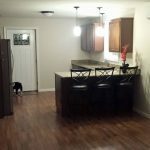 Tile, hardwood and laminate flooring are signature services of Star Remodeling. With extensive experience, you can rest assured knowing your poject will be in the hands of qualified craftsmen. If your home or place of business needs some custom tile work completed and you’re ready to start speaking with potential contractors, please give us a call or fill out our form to request your estimate.